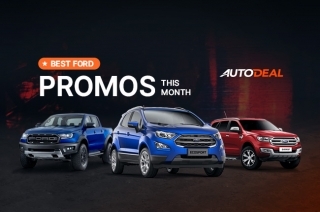 Let’s narrow down the SUV promos you can avail here in AutoDeal. 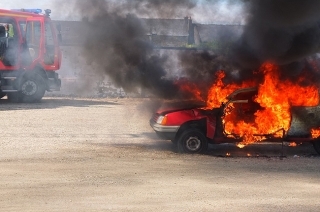 Sport Utility Vehicles (SUV) are prominent in the Philippine roads. Well, simply because it offers practicality, reliability, and of course, Filipinos are known to be family-oriented. 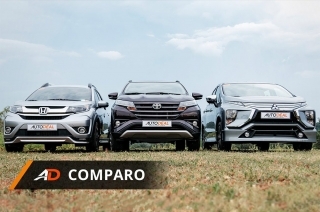 However, the competitiveness of car brands in this segment makes it hard to decide which SUV will suit both of your needs and budget. 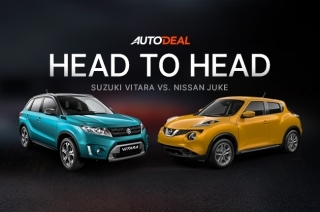 In choosing the best car deal, know that Autodeal always got your back. 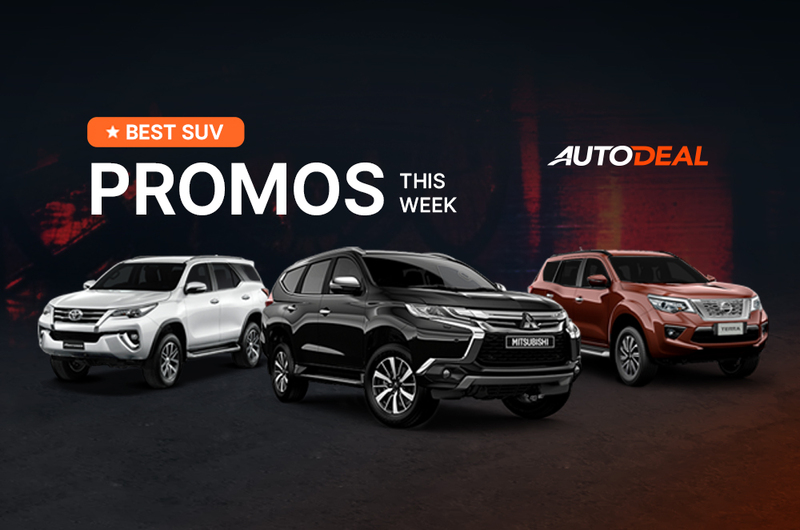 That’s why we’re giving you a list of the best SUV promos this week from the leading car brands in the country. 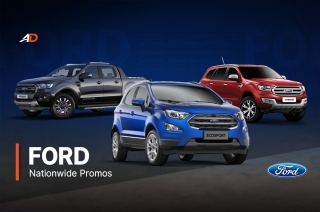 Don’t hesitate to get a free quote or request a test drive once you spotted your preferred car promo. Powered by a 2.8L diesel engine, this seven-seater midsize SUV can pump out a maximum output of 200 hp and 500 Nm of torque. 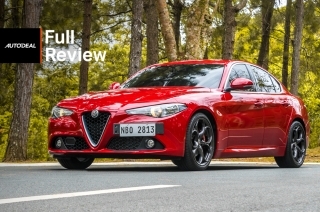 Its powertrain is then partnered with a six-speed automatic transmission. For on-board entertainment, the Trailblazer LT AT brags a seven-inch touchscreen infotainment system fitted with the brand’s MyLink System. Available with P118,000 All-in Downpayment, this variant of Trailblazer comes with Apple CarPlay and SIRI Eyes Free for better functionality, as well as to make your kids entertained and keep you awake during long drives. This deal is available at any authorized Chevrolet dealerships nationwide. 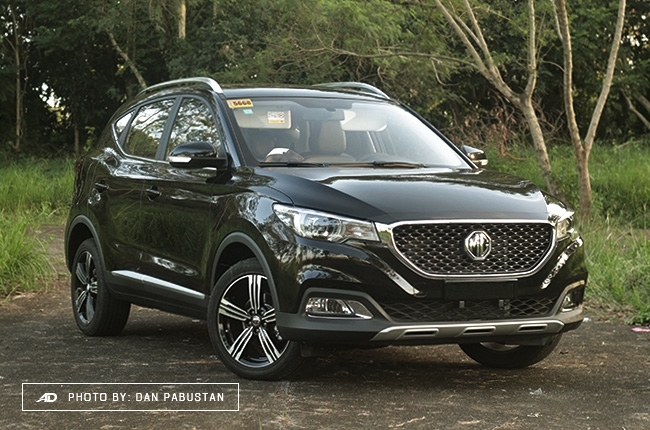 There’s no doubt that this edgy-looking vehicle is one of the popular SUVs in the country and you can own one with P67,000 All-in Downpayment. 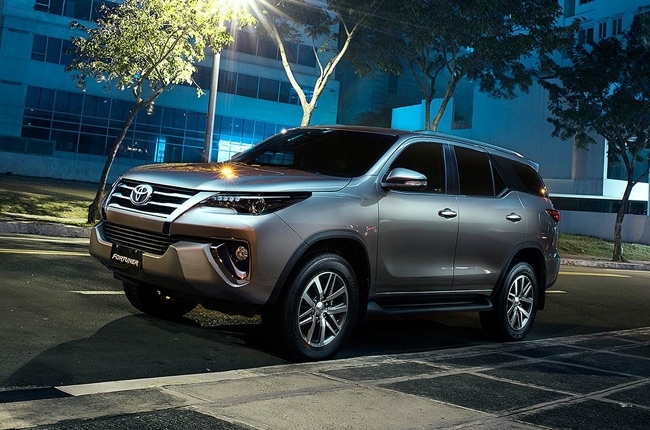 Tagged at P1,687,000, the Fortuner G AT is backed by safety and security features such as the driver, front passenger, and knee airbags, Anti-lock Braking System (ABS), Electronic Brake-force Distribution (EBD), electronic door locks, security alarm, immobilizer, and ISOFIX child seat anchors. 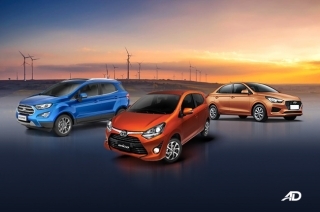 This promo is available in Toyota Global City. 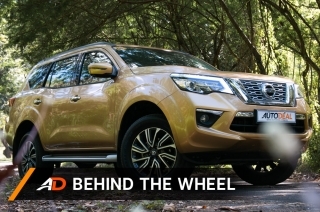 Equipped with 2.4L diesel engine with Mitsubishi Innovative Valve timing Electronic Control (MIVEC) system, the Montero Sport is capable of squeezing out 181 hp and 430 Nm of torque. 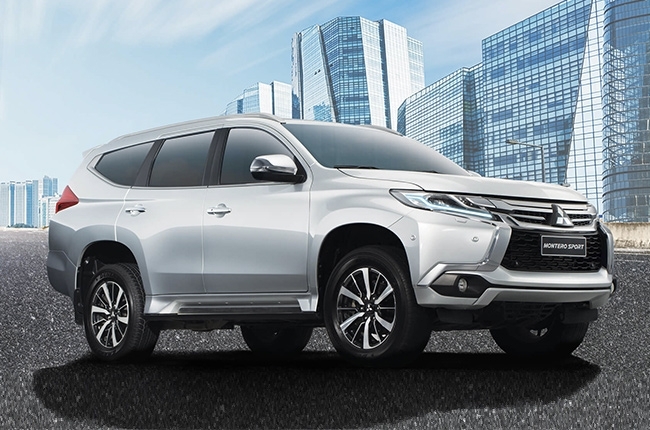 Available with Zero Downpayment, the Japanese brand also fitted this midsize SUV with its remarkable safety assistance feature, Mitsubishi Active Stability and Traction Control (M-ASTC). 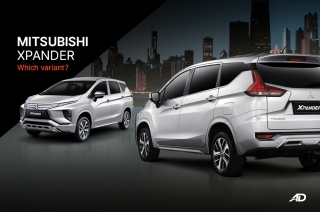 This great offer is available in Mitsubishi Alabang. Style and sophistication infused in a rather affordable approach. The MG ZS screams that millennial vibes as executed from its stylish exterior. Passengers are also treated with a decent amount of standard features including an electronic temperature control and a Smart Radio, step up to the range-topping Alpha and you get the exclusive 8-inch touchscreen multimedia display with Apple CarPlay and 3D sound effects via a 6 speaker setup. 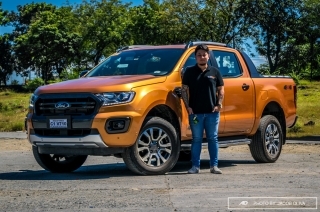 Powering this machine is a 1.5-liter gasoline engine, which puts out a healthy 114 horsepower and 150 Nm transmitted via a 4-speed automatic transmission. Own this certified beauty for as low as a P79,000 All-in Downpayment. This deal is available at MG Cebu. For provincial buyers, this one is quite a catch. 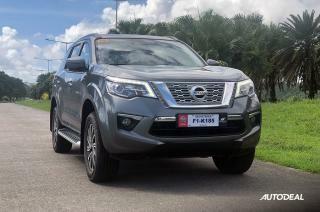 The recently-launched Nissan Terra shows off muscular character lines, chiseled hood, and fenders, combined with chrome accents that add to its striking appeal. Available with P39,900 All-in Downpayment, the Terra 4x2 EL AT is integrated with a 6.75-inch touchscreen display and gadget can connect via Aux-in, Bluetooth, iPod, and USB port. This promo price is available at Nissan Matina and Tagum. 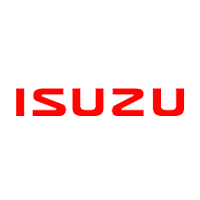 Maybe now is a great time to own a Suzuki Jimny with P999 Low Downpayment promo. 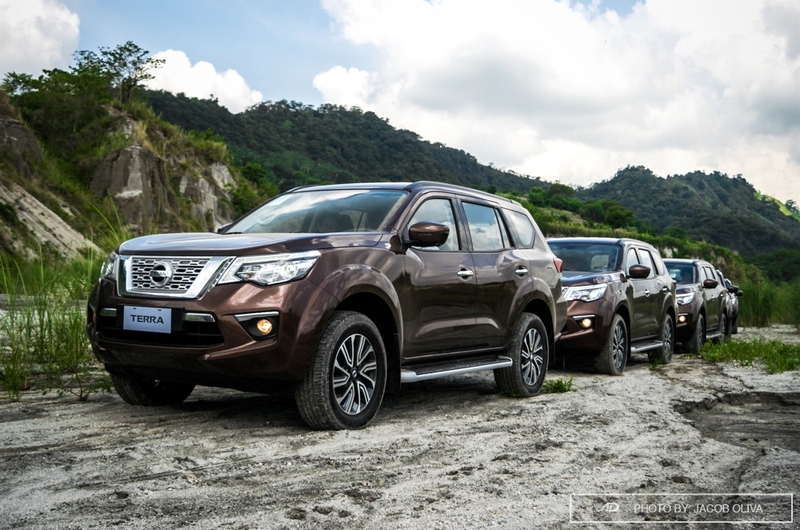 This mini 4x4 SUV is ready to tackle different road conditions in the Philippines. Even knee-high flood won’t be much of a hassle with its 190mm ground clearance. 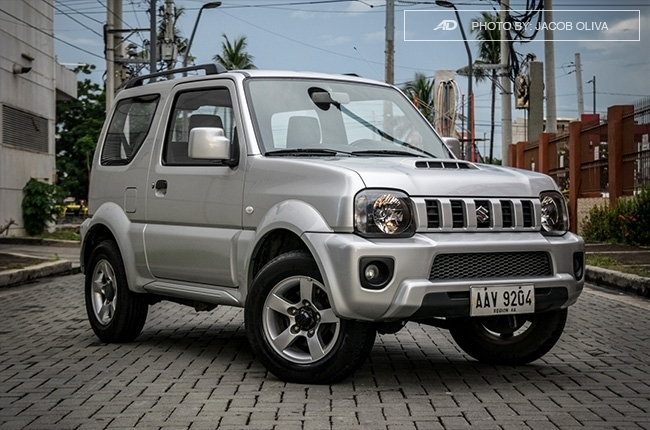 With its tough built and capable machine, the Jimny can bring you on fun adventures with family or friends. 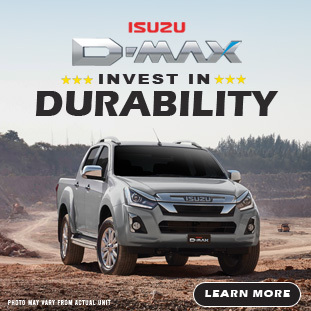 This financing deal is available in Suzuki Auto Davao. Can’t decide which one to get? 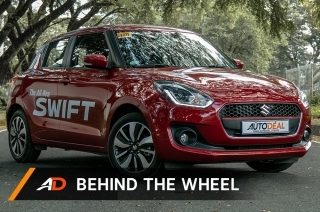 Check out AutoDeal’s car review section for more detailed evaluations of the country’s latest and popular nameplates. Already have a four-wheeled buddy? Take a look at our Service Promo page and see if there's a special service deal available in dealership near you.